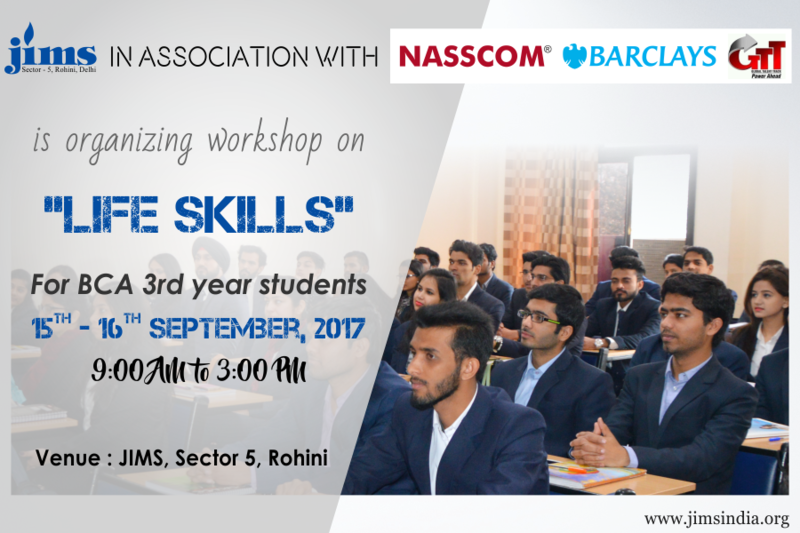 IP department of JIMS, in association with NASSCOM Foundation, Barclays and GTT-Connect, is organizing a two day workshop on "Life Skills" for BCA 3rd year students on 15th & 16th of September 2017. This workshop is aimed at providing extra inputs on soft skills to students who are ready to enter corporate world in a few months. Topics covered in this workshop include Resume Writing, Cover Note writing, Interview Skills, Group Discussion, Appropriate Dressing, Presentation Skills, along with lots of fun activities.